This Gigabit USB-over-IP device server offers a simple and convenient way to extend and share a USB device over long distances, and it works with multiple users connected to your network. Plus, the device server supports Gigabit (1000Mbps) speeds, so your connected devices function faster than traditional 10/100Mbps device servers. The versatile device server connects directly to your PC, or it works with your existing network devices (for example, hubs, routers, switches) so it can easily integrate into your current network infrastructure. 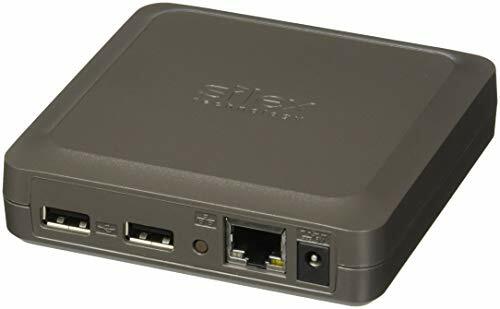 It s ideal for connecting and sharing USB devices (for example, card readers, digital cameras, webcams, printers, and scanners) with multiple networked users. Plus, you can use multiple device servers on the same network, letting you connect and share even more USB peripherals. The USB-over-IP device server includes Windows based software that provides a simple interface to connect, monitor, and control the connected device over your local area network (LAN). Plus, the software communicates directly with the device server, so it can be used in Virtual Machine (VM) environments if you have multiple VMs sharing the same set of hardware. The USB1000IP is backed by a StarTech.com 2-year warranty and free lifetime technical support. 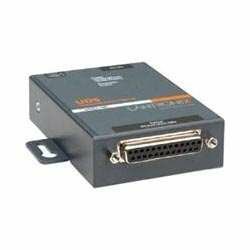 2 serial port, RS232 RS485 RS422 three-in-one. Voltage range of 5~36V DC. 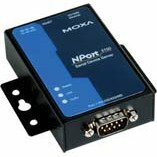 Modbus RTU to Modbus TCP, CTS/RTS, XON/XOFF. Support Modbus multi-host polling, support Modbus RTU to Modbus TCP, DHCP and DNS. Support Built-in Webpage, Httpd Client and Websocket and network printing and watchdog mechanism. Parameters can be configured by built-in webpage, AT command, serial port procotol and network procotol. Setting procotol is avaliable to integrate into user's software. If data buffer needs to clear configuration before TCP connection establishment Supports DHCP, automatically obtain an IP address and query IP address via serial setting protocol. 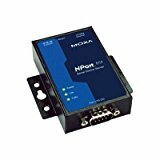 Brand: Moxa | Manufacturer: Moxa Inc.
Energy saver mode - when the Device server is not used for a certain period of time, the power supply to the USB bus is turned off to save energy. 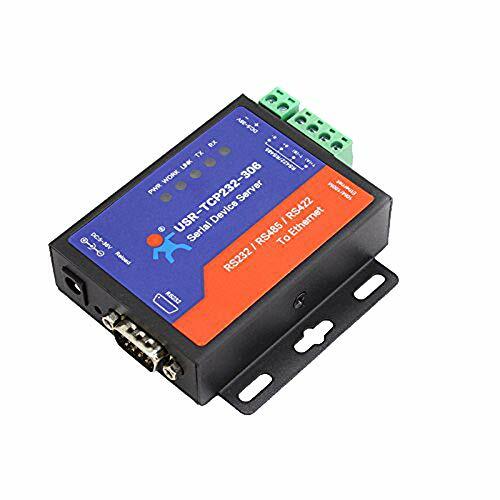 Secure, Integrated, Plug-and-play Serial (RS-232) to Ethernet Converter using Serial-over-IP technology; 128/192/256-bit AES encryption; Extended Temperature (-40 C to +85 C); One DB-9 Serial Port; One 10/100 Mbps Fast Ethernet RJ-45 Port. 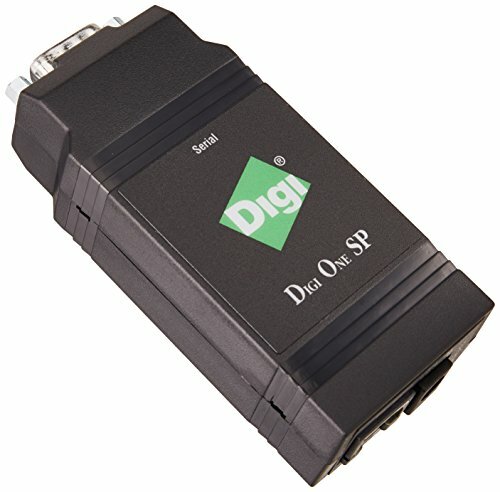 xDirect is a sleek and compact Serial-to-Ethernet device server, providing quick and easy Ethernet connectivity to virtually any device or machine with a serial interface. With an integrated Ethernet port and serial cable, multiple power options including PoE, xDirect provides a portable, extremely flexible, and highly affordable network connectivity solution. With Plug-and-Play simplicity, small form factor, multiple power options, and a robust device server application, xDirect provides the easy and short path to network connectivity 'right on the wire'. 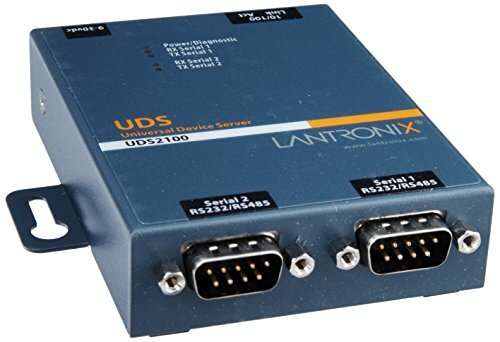 the Uds2100 Device Server Enables Users To Connect, Manage And Control Just About Any Piece Of Equipment With A Serial Port From Virtually Anywhere Over Ethernet Or The Internet.with The Uds2100, Two Pieces Of Equipment Of Virtually Any Type Can Be Added To An Ethernet Network In A Matter Of Minutes! 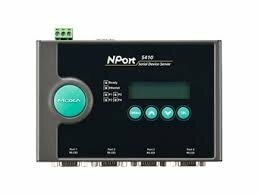 This Dual-port Device Server Is A Quick, Simple And Inexpensive Way To Bring The Advantages Of Remote Management And Control To Equipment Not Currently Connected To A Network. 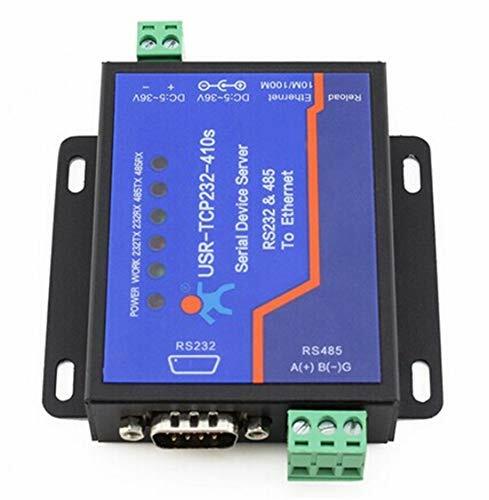 Serial Device Server Introduction This is a Serial RS485 and RS232 to Ethernet Server, Used for Data Transparent Transmission. 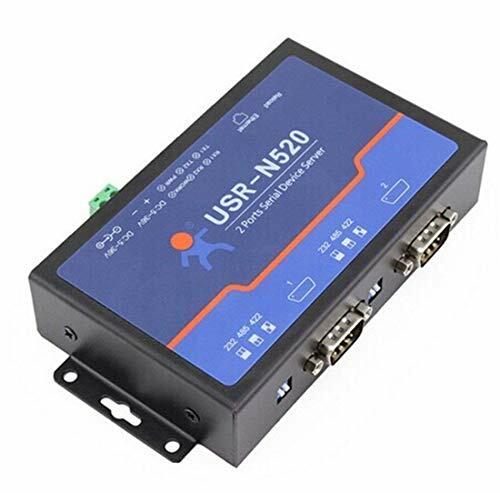 Usr-Tcp232-410S is a Dual Serial Server, Which Supports RS232 and RS485 Working at The Same Time. it is Based On Cortex-M4 Solution and The Internal of The Serial Server Integrates Tcp / IP Protocol Stack. 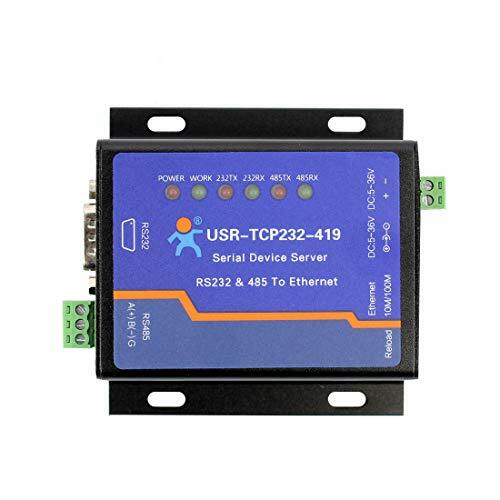 Besides, Usr-Tcp232-410S Has The Function of Terminal Power Supply. Feature Multiple Indicator Lights for Convenient Debugging Power-Line Terminal for Industrial Application Arm Kernel and Tcp / Ip Protocol Stack Auto-Mdi / Mdix, Rj45 Port with 10 / 100Mbps Tcp Server, Tcp Client, Udp, Udp Server and Httpd Client Work Mode Two Ports Can Work Independently at The Same Time Support Virtual Serial Port and Provide Corresponding Software Usr-Vcom Serial Baud Rate From 600Bps to 230. 4K Bps; Check Bit of None, Odd, Even, Mark and Space Dns and Dhcp Supported Provide Pc Tcp / Ip Socket Programming Example, Vb, C++, Delphi, Android, Ios Built-In Webpage; Also Can Customize Webpage for Users Reload Button, One Key to Restore Default Settings Rj45 with Link / Data Indicator Light, Built-In Isolation Transformer and 2 Kv Electromagnetic Isolation The Global Unique Mac Address Bought From Ieee, User Can Define Mac Address Supp Ort Upgrade Firmware Via Network Support Keep-alive, Rapidly Detect Dead Links Support Account and Password, Can Be Used to Page Login and Network Settings Support One Channel Websocket, Realize Bidirectional Transparent Transmisison Bewteen Webpage and Serial 0 Support Modbus Rtu to Modbus Tcp Support Udp Broadcast Function, Send and Receive Data From All Ip in The Network What is in The Box: 1 x Dual Serial Device Server, 1 x 5V 1a Power Supply, 1 x Female to Female Serial Cable. 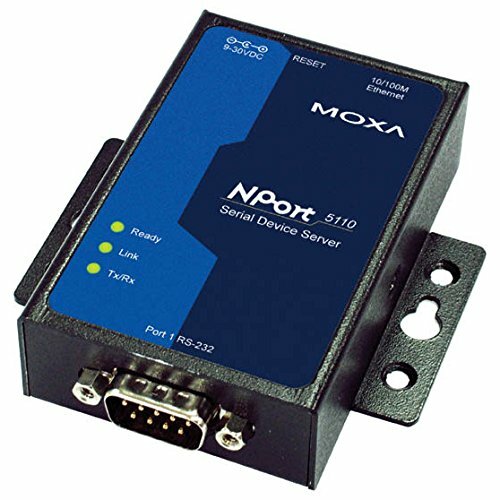 Dual Serial Device Server: Cpu: Cortex-M4 120Mhz, Serial RS485 & RS232 to Ethernet Server, 2 Serial Ports: 1 Port is RS232, 1 Port is RS485, 1 RJ45 Ethernet Port. 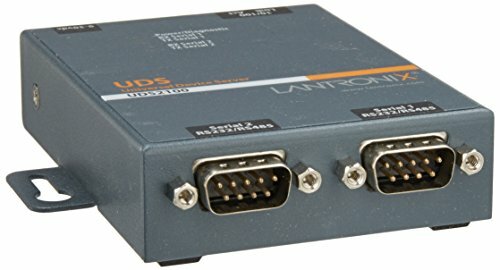 Support RS232 & RS485 Working at The Same Time. Data Link Protocol: Ip Tcp Udp Dhcp Dns Http Arp Icmp Web Socket Httpd Client. Speed: 10 / 100 Mbps, Mdi / Mdix Cross Direct Automatic Switching, Baud Rate: Rs-232 600Bps ~ 230. 4Kbps Rs-485 600Bps ~ 1Mbps; 1.5Kv Electromagnetic Isolation, Shell Isolation Protection; Anti-Static 2Kv, Lightning Protection. Configure Via Web Browser or Virtual Com Software Interface; Working Temperature: -40 ~ 85 C, Power Consumption: < 1W. What's in The Box: 1 x Dual Serial Device Server, 1 x 5V 1A Power Supply, 1 x Female to Female Serial Cable. More and more USB devices, such as scanners, MFPs, hard disks or RDX-systems and cameras, have been used in offices. The USB Device Server allows you to use devices on a network, improving installation flexibility without troublesome USB cables. As this enables USB devices to be easily shared, you can optimize use of USB devices in the office, reducing installation costs. 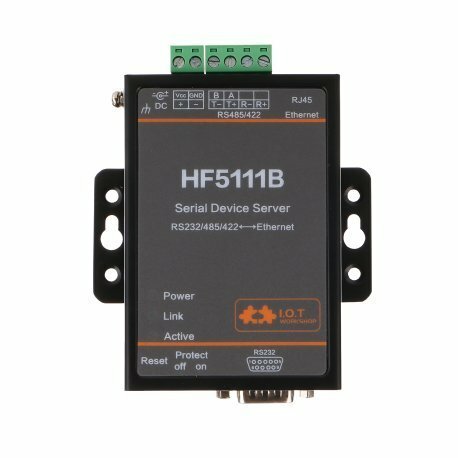 The HF5111B provides a serial interface to Ethernet connectivity to web enable any device. The HF5111B integrate TCP/IP controller, memory, 10/100M Ethernet transceiver, high-speed serial port and integrates a fully developed TCP/IP network stack. The myUTN-50a USB device server is the myUTN USB Device Server series. 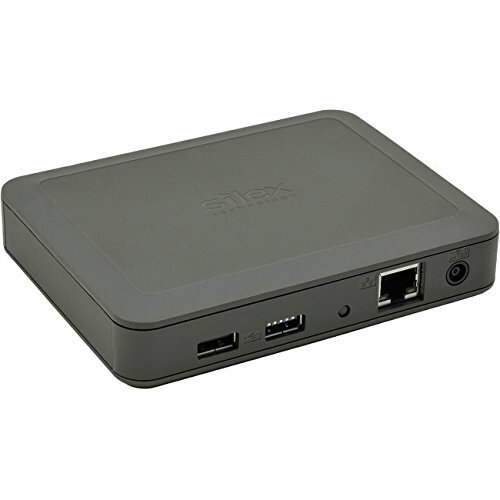 It is a true all-rounder for using USB devices across the network. 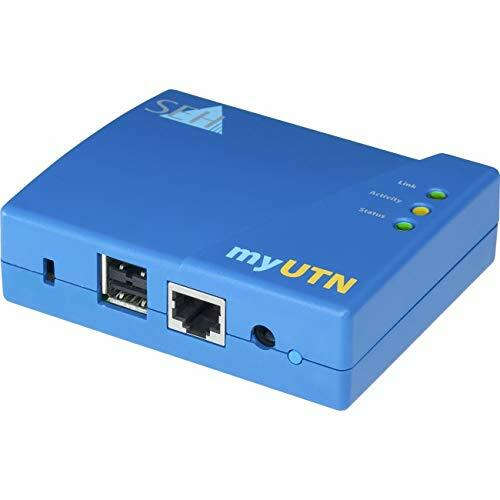 The myUTN-50a is a "Plug and Play" solution: As soon as it is attached to the network you can manage all connected USB devices transparently via the UTN Manager software - just as if they were locally attached. In addition the myUTN-50a USB device server is equipped with many functions for using your USB devices easily across the network - location-independent and independent of USB cable lengths! The myUTN-50a is now even faster than the previous model. With myUTN-50a you have complete control over the two integrated USB interfaces and the attached USB devices. 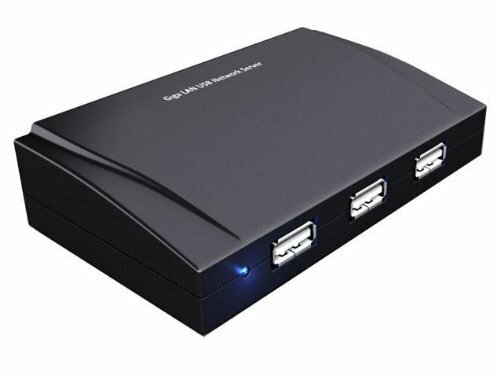 Utilizing a separate USB hub, you can attach up to five USB devices simultaneously. The myUTN-50a comes with many strong security features. In addition to the secure point-to-point connection myUTN enables you to limit access to USB device types defined by you. 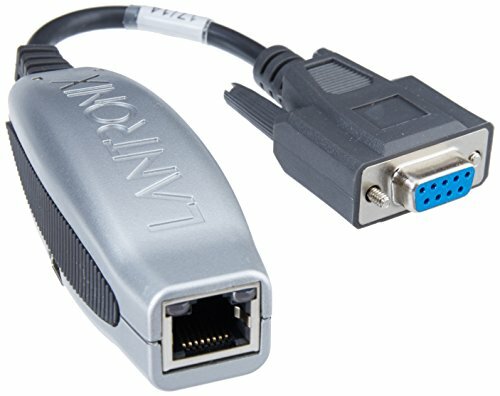 The myUTN-50a is the ideal solution for using USB devices comfortably and securely in virtualized network environments, such as Citrix, VMware or Hyper-V.
Cortex-M4 Kernel,Industrial Working Temperature Range And TCP/IP Protocol Stack.